Developers have begun filling the Crystal Lagoon at Beachwalk, a luxury home community off County Road 210. Within the first week, 2 million gallons have poured into the 14-acre water amenity. 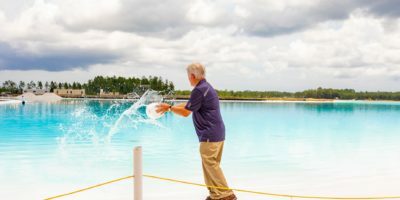 Set against a white lining, the lagoon is already taking on the natural turquoise hue that will deepen to a Caribbean blue as it approaches its 10-foot depth. By February, its waters will be surrounded by a 100-foot white-sand beach with palms and footpaths. 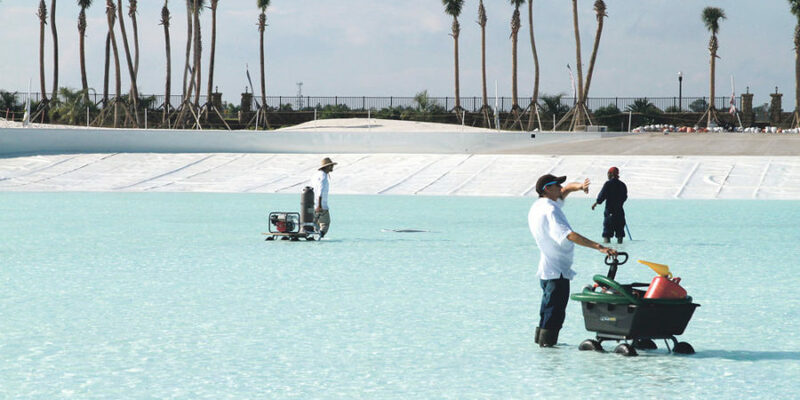 When finished, Beachwalk’s Crystal Lagoon will be the largest man-made water feature in the U.S. 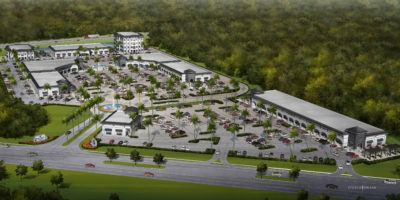 The lagoon will be maintained with water treatment technologies like those used in municipal water systems, said Beachwalk developer John Kinsey. The proprietary system uses ultrasonic disinfection pulses that are so efficient, only 1 percent of the chemicals and 2 percent of the energy used by conventional swimming pool filtration systems will be needed. Crystal Lagoon technology was developed 20 years ago and first used at the San Alfonso del Mar resort in Chile. Since then, it’s been part of more than 300 real estate projects in over 60 countries. Construction at Beachwalk will include single-family homes and twin villas on the lagoon. Beachwalk will have 761 homes at build-out. Visit www.mybeachwalkhome.com for more information.